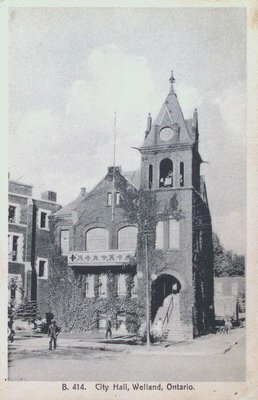 A postcard of City Hall, Welland. c1940. Published by F.H. Leslie, Ltd. Printed in Leipzig, Saxony.